Gorgeous St. George Island is home to sugary sand and unparalleled respite. However, did you know that in addition to being the place to get away, the Forgotten Coast offers unforgettable dishes all around—specifically, oysters. Whether fried, charbroiled, grilled, or slurped right from their half shells, oysters are everywhere in autumn. Since the water is reaching cooler temps this time of year, oysters are guaranteed to be fatter and even more full of flavor right now. These mollusks are much more than just delicious—they actually improve the Gulf Coast ecosystem by acting as natural filters for the water! Dishes from decadent oyster stews to massive fried oyster sandwiches with nearly every preparation in between. And with live music provided by Joe Hutchinson and a host of oyster delights to try, this annual event is a can’t-miss when it comes to giving the mollusks their due appreciation! 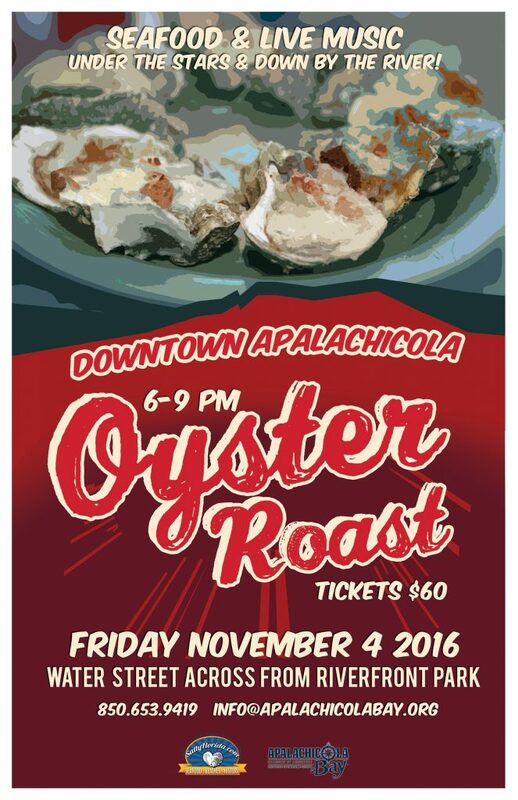 On November 10 in Eastpoint, Florida, experience an oyster education that extends far beyond their salty flavor! From 1pm to 4pm the Florida Department of Environmental Protection will host a workshop to discuss the health benefits oysters provide for Apalachicola Bay. They’ll also discuss facts regarding how the oysters improve the quality of water through their unique filtration abilities. In addition, participants will learn what gives the mollusks their noteworthy taste. You and your family will walk away with a greater understanding of why these shellfish are such an integral part of our culture, ecosystem, and industry. Few people know oysters as well as Lynn C. Martina, lifetime Eastpoint local and longtime owner of the oldest licensed oyster house in Florida. 40 years of experience in the seafood industry means that Lynn believes in feeding the soul with good food, treating friends like family, and serving the freshest oysters around. All of the oysters at Lynn’s Quality Oysters come straight from the best beds in Apalachicola Bay. Her team engages in a daily process of tonging for the tastiest bivalves starting just as the sun rises. In order to ensure freshness, Lynn’s Quality Oysters even has a packing room on site where the oysters are housed once they have been meticulously inspected for quality. The restaurant will even ship you a box of the good stuff overnight so you can show your loved ones at home how much they mean to you! For more information about Lynn’s Quality Seafood, visit lynnsqualityoysters.com or call 850-670-8796. When you’re there, be sure to try a dozen of the Oyster Poppers, a savory menu staple starring Apalachicola oysters topped with jalapeno, cream cheese, and Greek seasoning. What better way to write a love letter to our famous oysters than by creating a rich and delicious stew in their honor?! Try this simple recipe and share with other oyster enthusiasts. Warning: Leftovers are unlikely! Combine all ingredients in a sauce pan, cooking over medium-low heat on stove until oyster edges begin to curl. In a separate pan, scald heavy cream or half and half over low heat, heating slowly until tiny bubbles form at edges of the pan. Be careful not to bring to a full boil! Add scalded heavy cream of half and half to all other ingredients. Stir, turn down to low until flavors have combined. Ladle into bowls and top generously with oyster crackers. Resort Vacation Properties of St. George Island Florida makes it their mission to champion their community by sharing the old fishermen tales, the area’s mysterious history, the hidden beauty spots along the Forgotten Coast, and highlighting the wonders of this incredible beach island enclave. St. George Island is a short 80 miles east of Panama City, along the sparkling Gulf Coast of Florida. We hope you’ll check out our rental properties should your travels ever bring you our way.